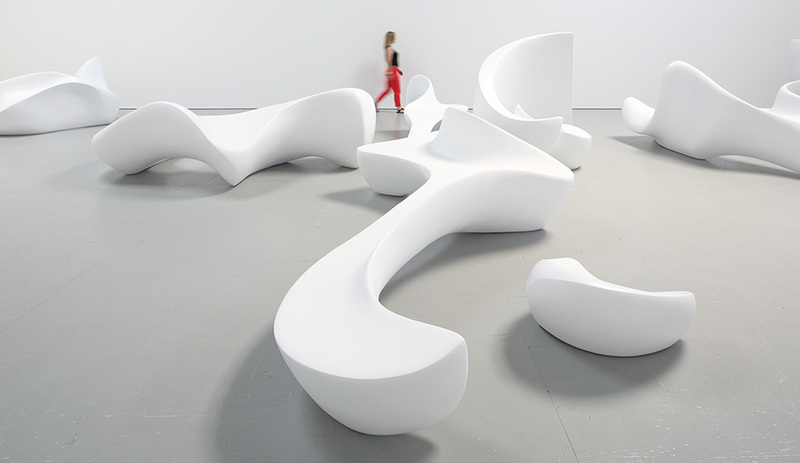 Made of ultra-dense Styrofoam coated with polyethylene, the furniture-like sculptures are three-dimensional renditions of Arabic script. My Cool Stuff feature for this week are these 3D sculptures by Marie Khouri. I fell in love with these lounges, a design truly created for dialogue. The beautiful pieces are on a touring exhibition. Look at them, aren’t they exquisite? What a clever design! 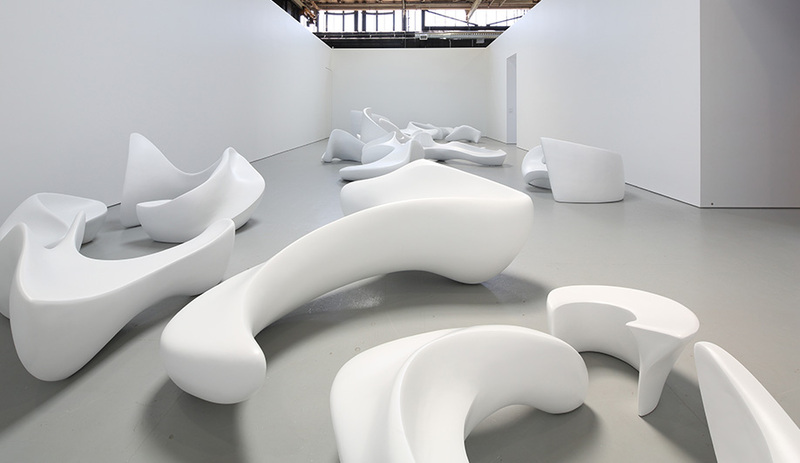 The sensual shapes in Marie Khouri’s installation, recently on view at Vancouver’s Equinox Gallery, spell out “Let’s Sit and Talk” in Arabic. Design speaks to us on the most visceral level, but few can render its language as literally as Vancouver-based artist Marie Khouri. Her latest installation, Let’s Sit and Talk, exhorts us, in word and form, to connect with one another. Each of the 15 pieces is a sculpture you can sit on. Together, they spell out the exhibition’s title, sculpted in beautiful cursive Arabic script. The quintilingual Khouri, born in Egypt, raised in Lebanon and trained in Paris, has made a career of conflating art with function: through her design studio, she also makes and sells jewellery, wine racks, benches, chaises longues and planters – all of which double as discrete sculptures. 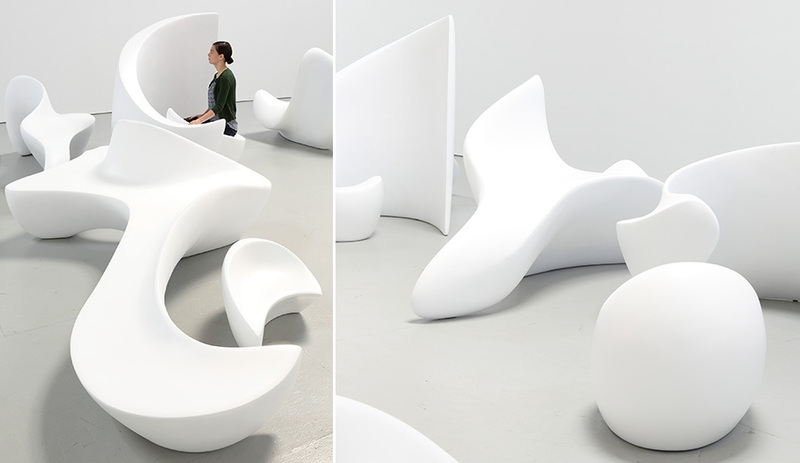 These sculptural loungers look interesting as art work and conversation pieces – incredible shapes – but I don’t think they’d fit into our lounge! They’re just a bit on the large side! Though I don’t suppose for one minute they were designed for the average-sized home. Maybe not for our lounge rooms Millie. 🙂 Thank you for commenting.